ORLANDO, Fla. – The Orlando Magic stumbled at home on Saturday, losing to the Sacramento Kings 91 to 97. After a cold start, the Magic could not overcome a 22-2 run in the third quarter that eventually stifled any chances of a comeback. Orlando also struggled to contain Kings center Demarcus Cousins, who scored 29 points, 13 of which came at the free throw line. 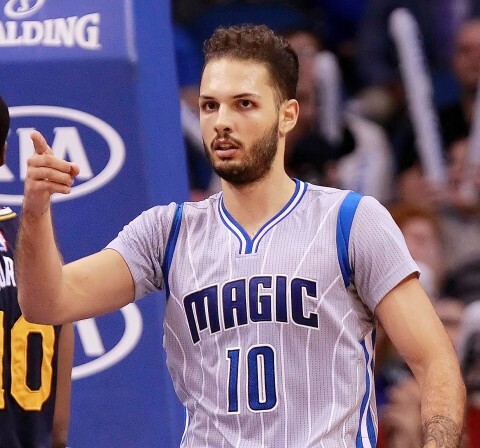 Magic shooting guard Evan Fournier, who leads the team in scoring, started off 0-7 from the floor and was never able to consistently find his shot. He finished the first half with only two points, but was able to score 15 in the second half as the Magic attempted a late rally. The comeback fell just short, as Fournier missed a shot that would’ve cut the deficit to just 3 with 20 seconds remaining. This frustration culminated at 5:59 in the fourth quarter, when Evan Fournier finished a layup through contact. Expecting to get an and-one, he was livid when instead he was called for a charging foul. Fournier compounded the problem by arguing with the referee, and drew a technical on top of the charge. Because of foul trouble, ineffectiveness, and the offensive success of Demarcus Cousins, The Magic went with a multitude of different lineups throughout the game. Every member of the team but one (Devyn Marble) saw action in Saturday’s game, as Skiles attempted to tweak his roster to find success. Nikola Vucevic, Dewayne Dedmon, Channing Frye, Jason Smith, and even Aaron Gordon got a chance to defend “Boogie” Cousins as he dominated the paint in the Kings’ win. Despite these issues, the Magic were able to keep it close in the end – outscoring the Kings 24-14 in the fourth quarter. There would be no miraculous comeback that Magic fans have grown accustomed to this season, however. The deficit was too large, and despite a late scare, the Kings would come out of the Amway Center with a victory. Magic guard Victor Oladipo looked comfortable in his first full game back from a concussion, filling up the stat sheet. The second year man from Indiana had 11 points with two three-pointers, six rebounds, and four assists on the night. The Magic drop to 6-7 with tonight’s loss, and face a tough road test in their next game. They will travel to Cleveland to taken on Lebron James and the Cavs on Monday before playing three home games next week against the Knicks, Bucks, and Celtics.